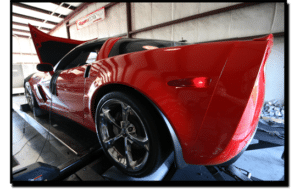 Dyno Tuning – PCM of NC, Inc.
With more than fifteen years of fuel injection tuning experience, we are able to offer both our expertise and our DynoJet 224xLC chassis dyno for fine tuning your vehicle. For our in-house builds, we include complimentary baseline pulls on the dyno (2WD only) to give us a benchmark to compare our final results with. This also ensures us that the vehicle is performing as it should before we modify it, saving time and heartache. Full dyno tunes include driveability/street tuning as well. If your vehicle is an automatic, we will spend plenty of time getting the shift points and firmness correct so the vehicle is more enjoyable to drive. 6L80e’s and other ‘difficult’ transmissions are our strong point – we can improve greatly on GM’s stock settings. 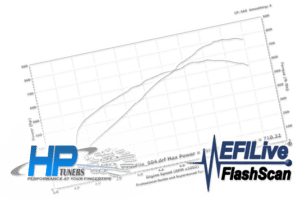 We will be sure to get the most out of your vehicle, safely! Most of our time is spent on the driveability tuning making sure the vehicle drives as perfect as possible. The excitement of a high dyno number will fade quickly if you have to deal with surging, bucking or idle issues – which is why driveability is so important to us. Our dyno tuning starts at $400, please call for specific pricing. Re-tunes are normally half price when future modifications are added. We primarily use HP Tuners software, and also offer it for sale as well.